Registration Limit: 980 spots left. March 30, 2019, 12:00am PDT April 30, 2019, 11:59pm PDT $65	$60.00 Race Fee + $3.60 SignUp Fee ? May 1, 2019, 12:00am PDT July 31, 2019, 11:59pm PDT $65.00 Race Fee + $3.90 SignUp Fee ? August 1, 2019, 12:00am PDT November 30, 2019, 11:59pm PST $75.00 Race Fee + $4.50 SignUp Fee ? December 1, 2019, 12:00am PST January 31, 2020, 11:59pm PST $85.00 Race Fee + $5.10 SignUp Fee ? February 1, 2020, 12:00am PST February 24, 2020, 12:00pm PST $95.00 Race Fee + $5.70 SignUp Fee ? Registration Limit: 496 spots left. March 30, 2019, 12:00am PDT April 30, 2019, 11:59pm PDT $50	$45.00 Race Fee + $3.00 SignUp Fee ? 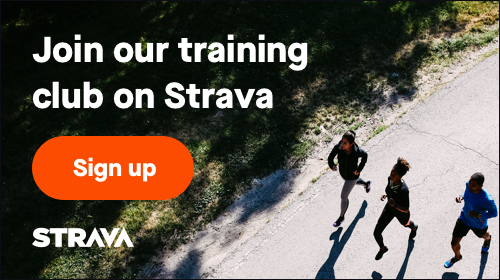 May 1, 2019, 12:00am PDT July 31, 2019, 11:59pm PDT $50.00 Race Fee + $3.00 SignUp Fee ? August 1, 2019, 12:00am PDT November 30, 2019, 11:59pm PST $55.00 Race Fee + $3.30 SignUp Fee ? December 1, 2019, 12:00am PST January 31, 2020, 11:59pm PST $60.00 Race Fee + $3.60 SignUp Fee ? February 1, 2020, 12:00am PST March 1, 2020, 12:00pm PST $63.00 Race Fee + $3.78 SignUp Fee ? info@endofthetrailrace.com, or tag us on social media! Registration Limit: 250 spots left. March 30, 2019, 12:00am PDT November 30, 2019, 11:59pm PST $65.00 Race Fee + $3.90 SignUp Fee ? December 1, 2019, 12:00am PST March 1, 2020, 12:00pm PST $70.00 Race Fee + $4.20 SignUp Fee ? March 30, 2019, 12:00am PDT November 30, 2019, 11:59pm PST $50.00 Race Fee + $3.00 SignUp Fee ? December 1, 2019, 12:00am PST March 1, 2020, 12:00pm PST $53.00 Race Fee + $3.18 SignUp Fee ?